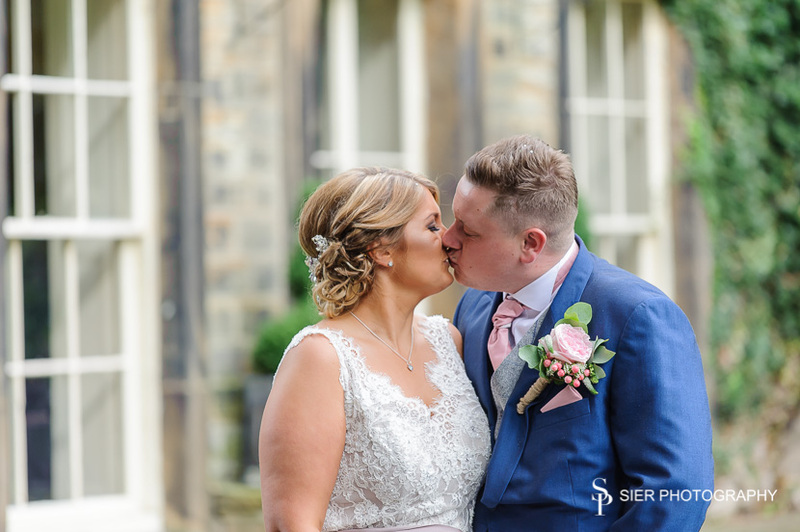 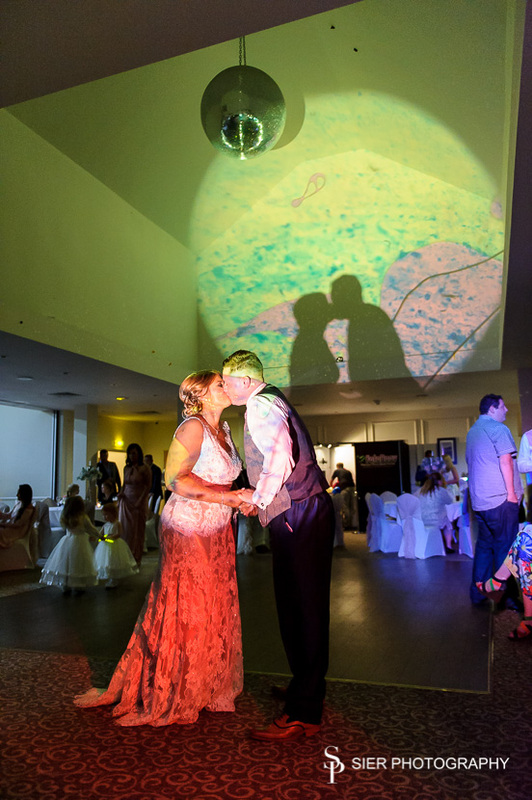 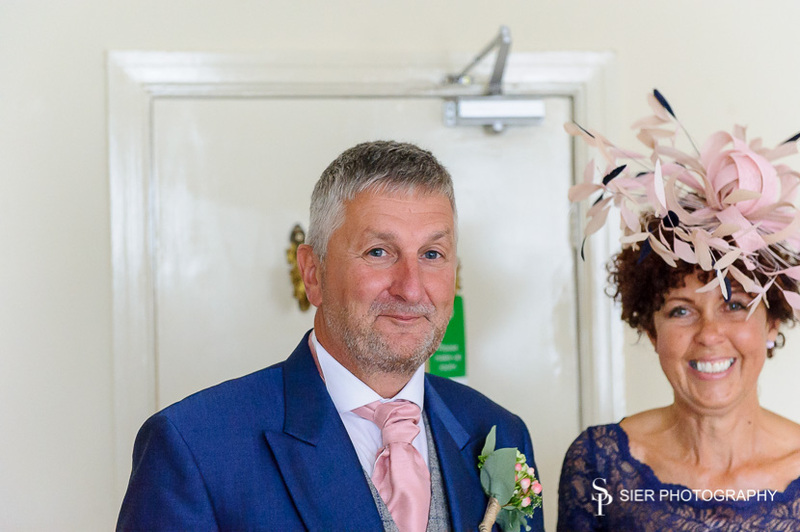 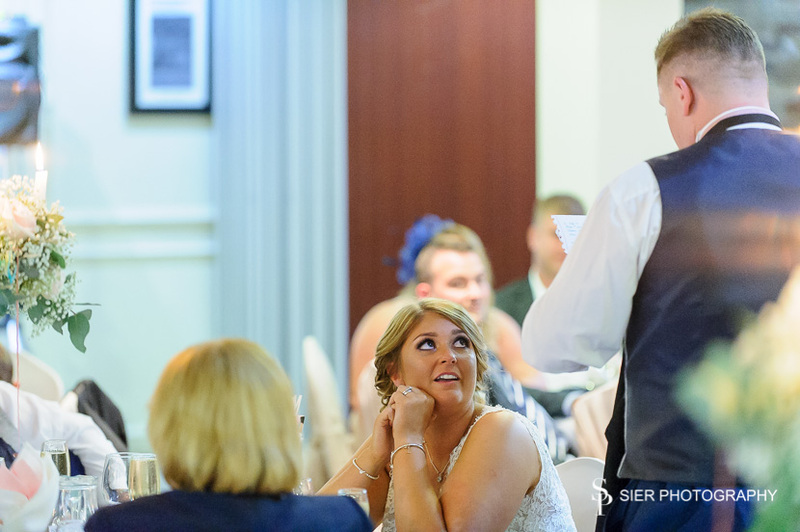 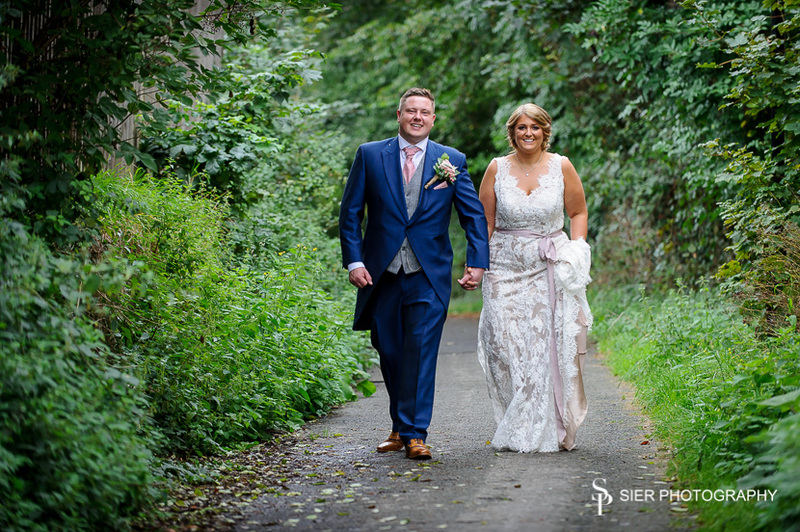 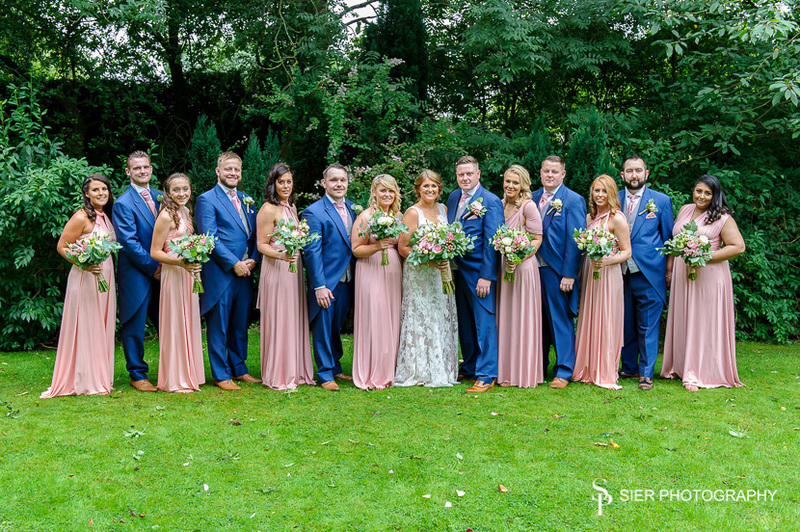 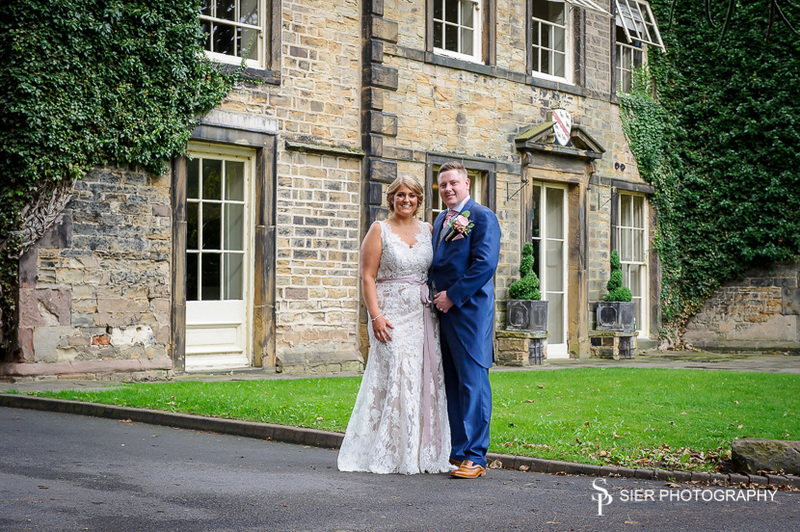 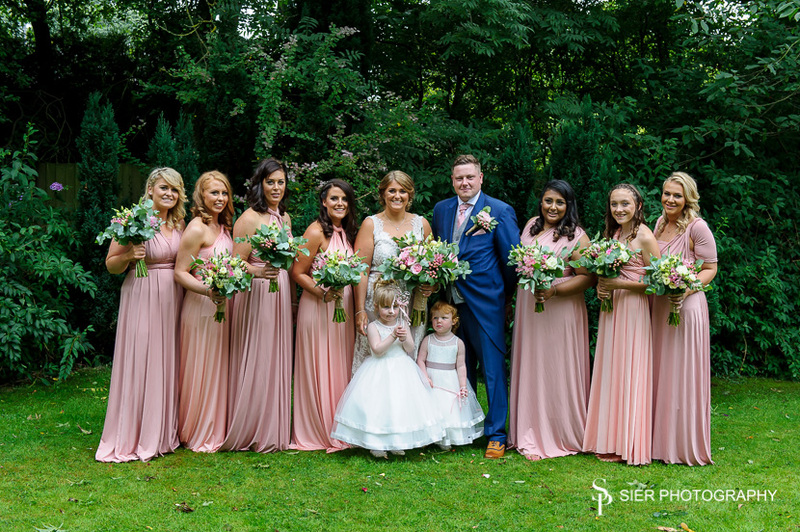 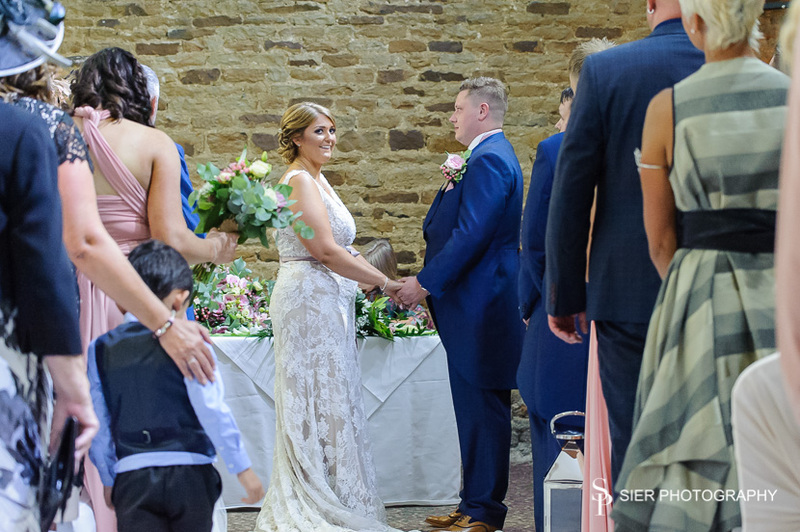 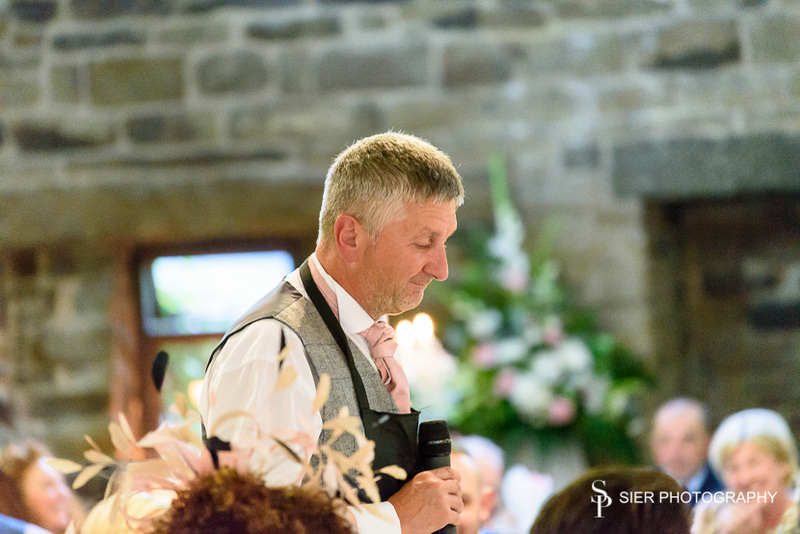 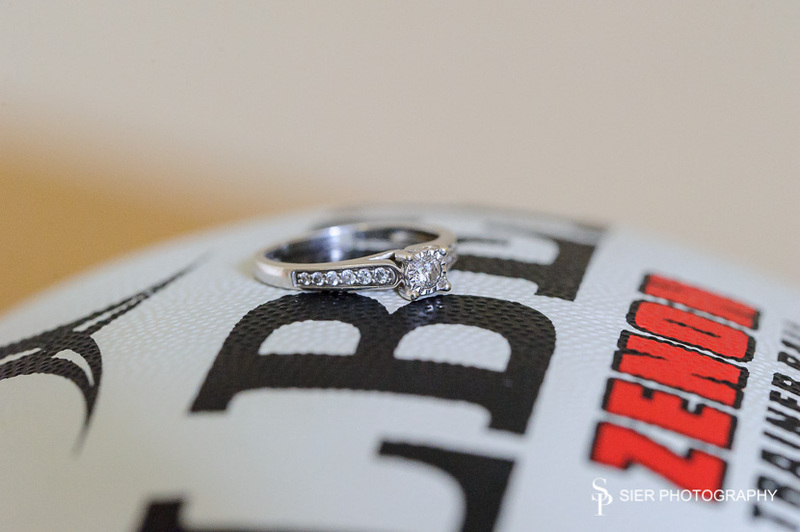 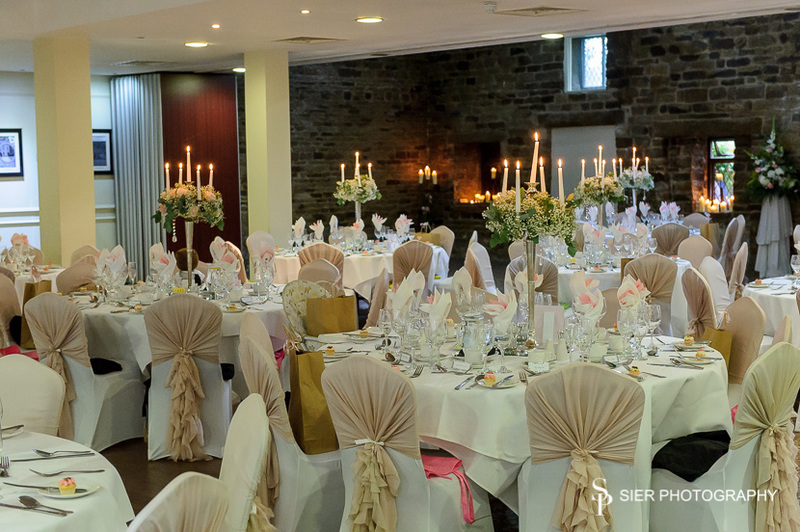 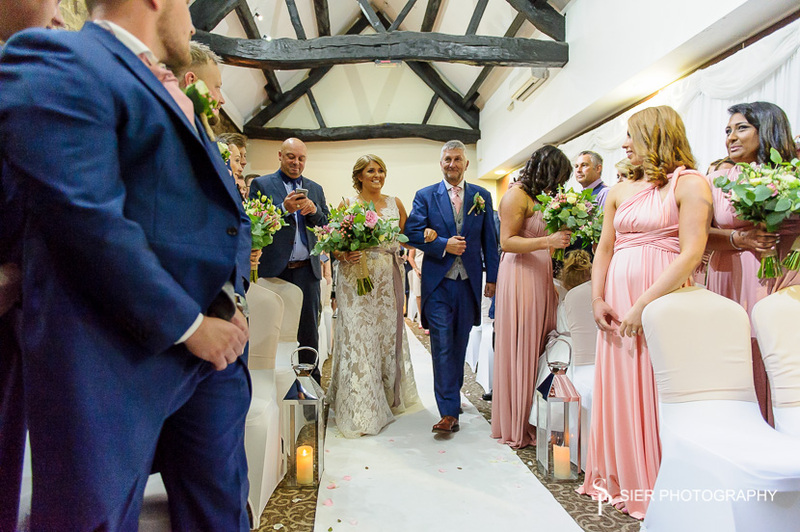 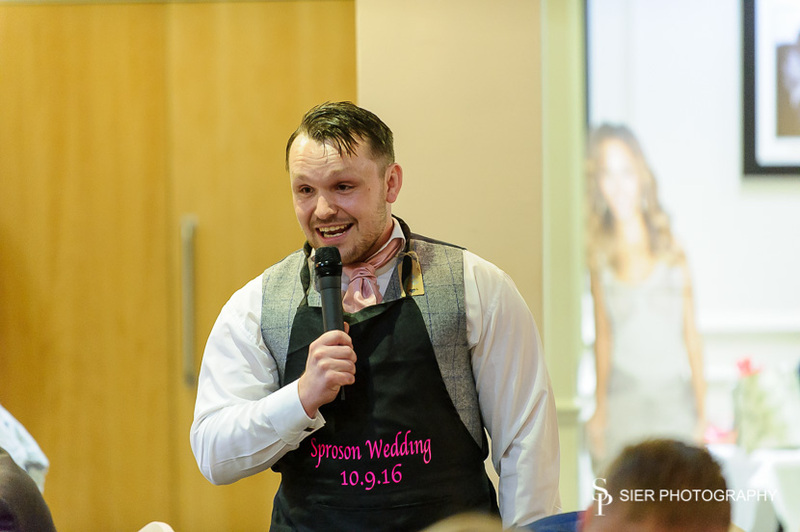 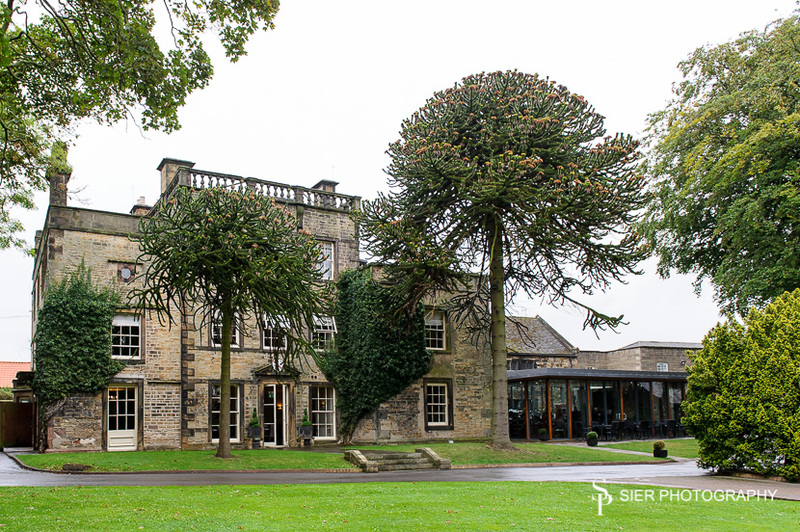 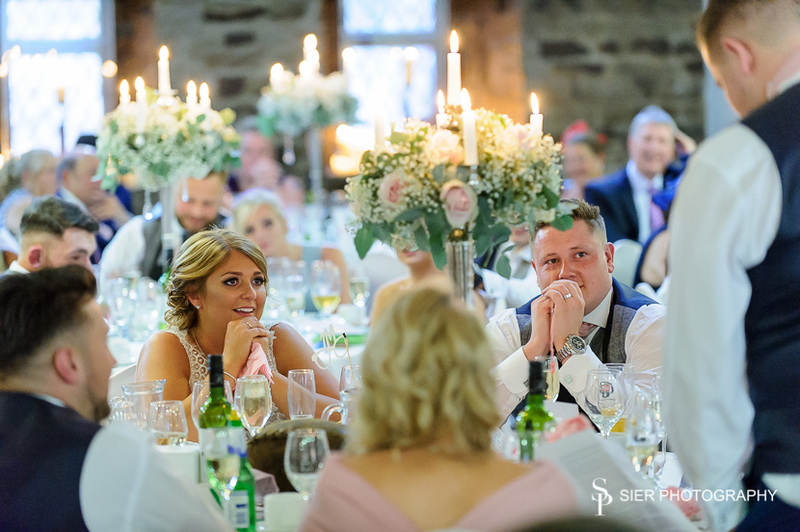 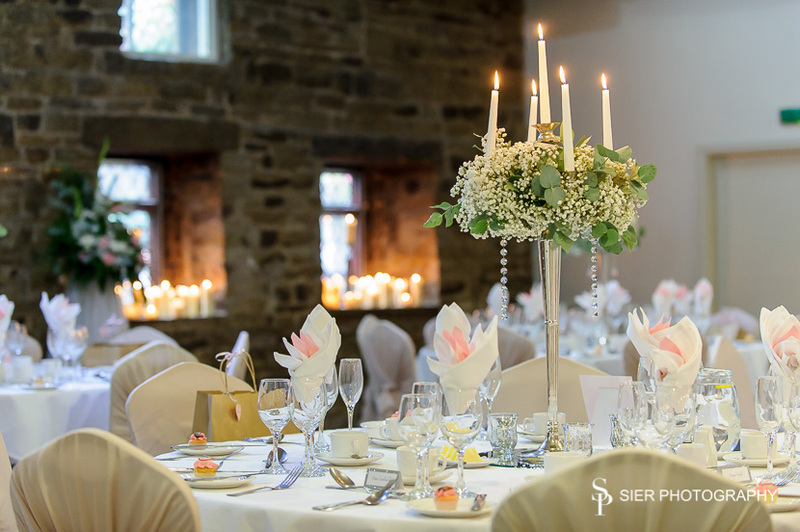 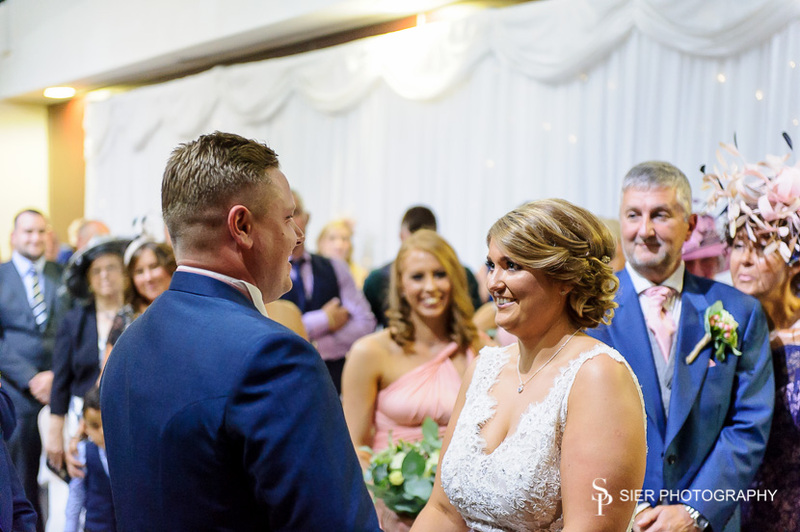 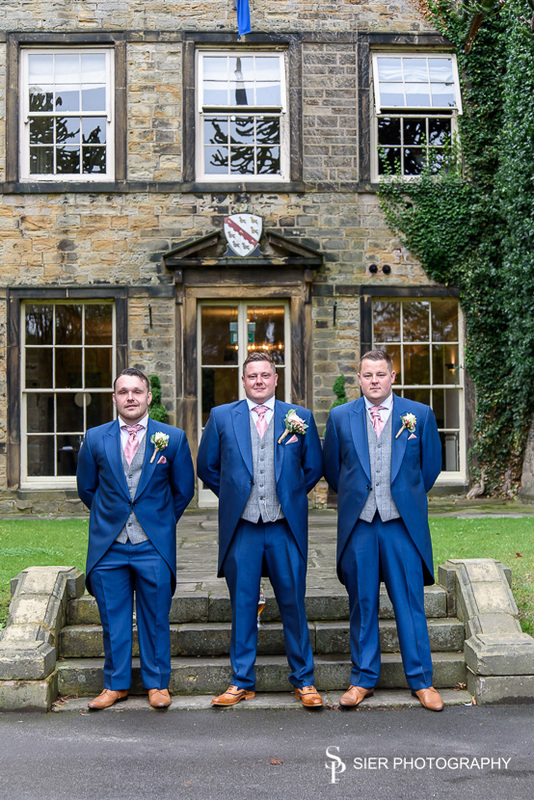 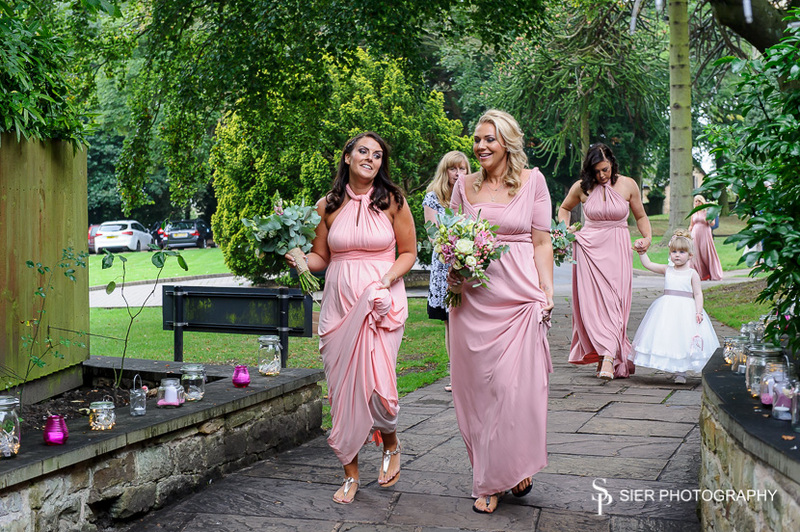 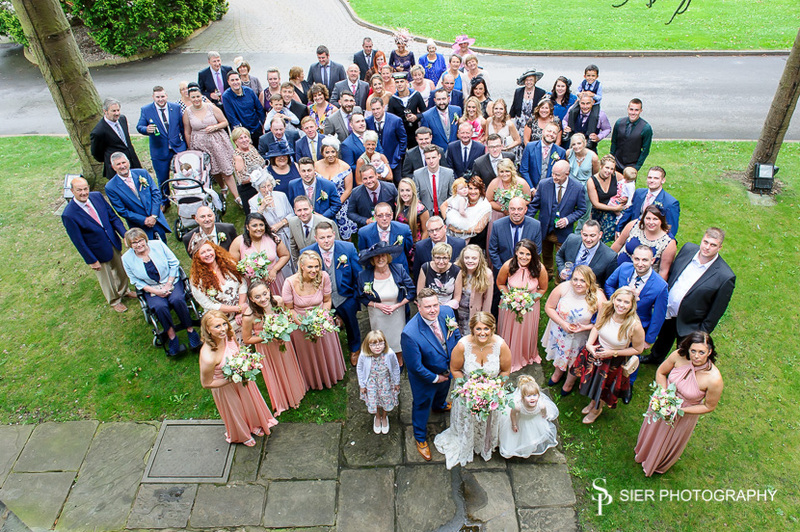 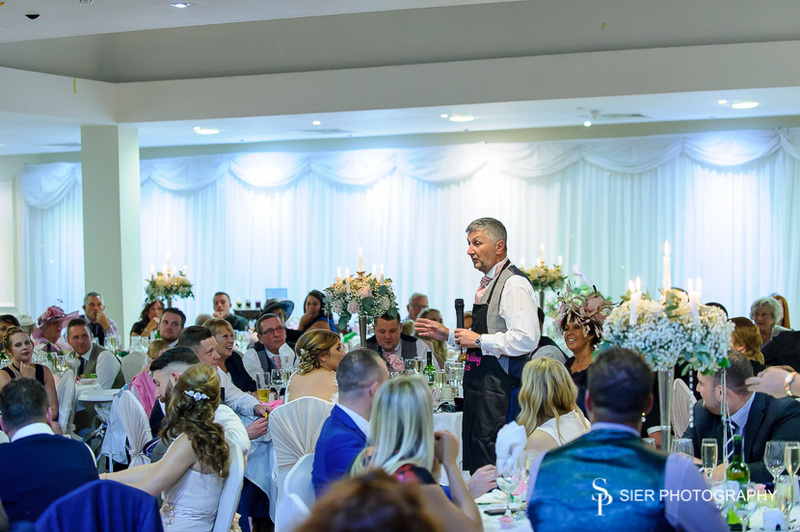 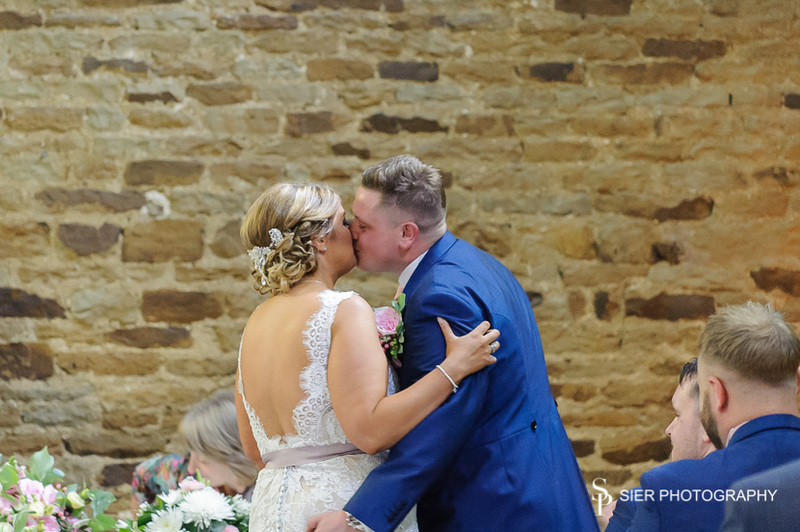 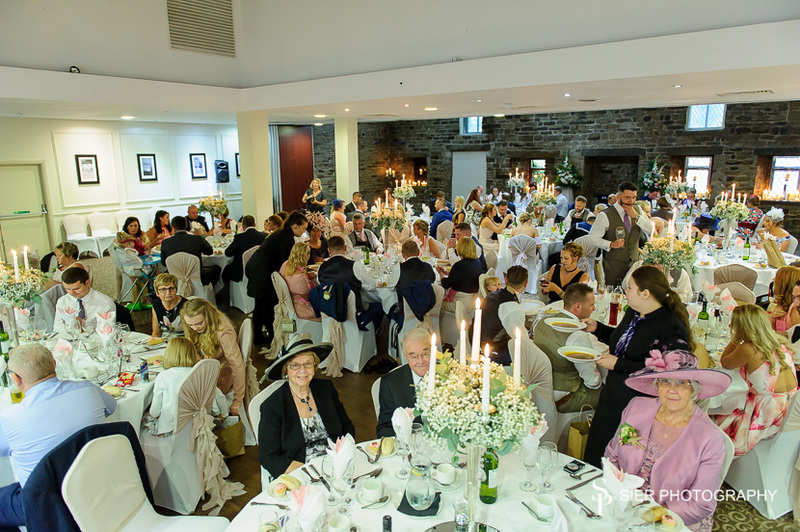 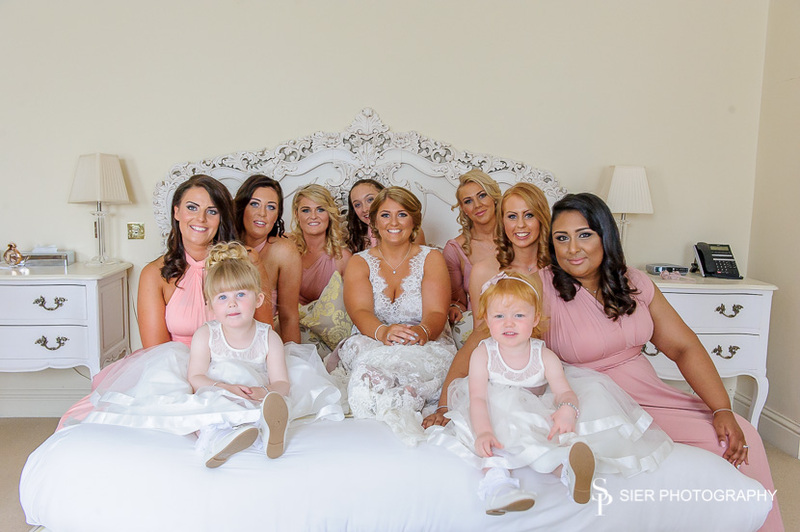 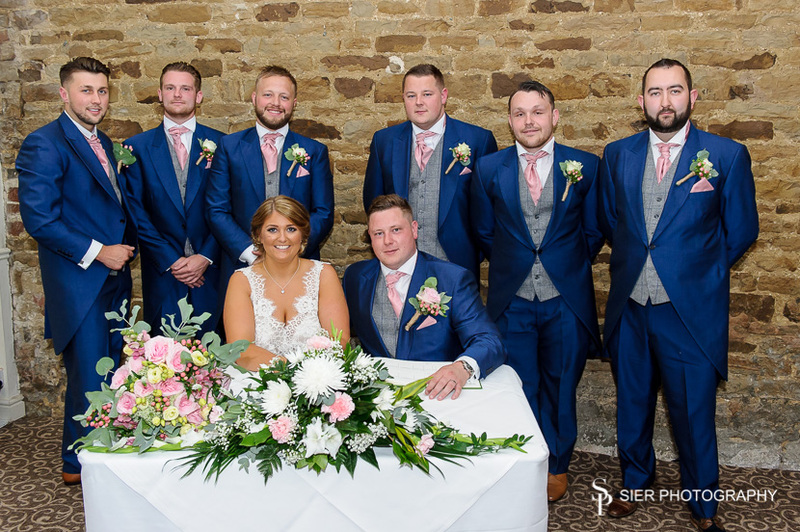 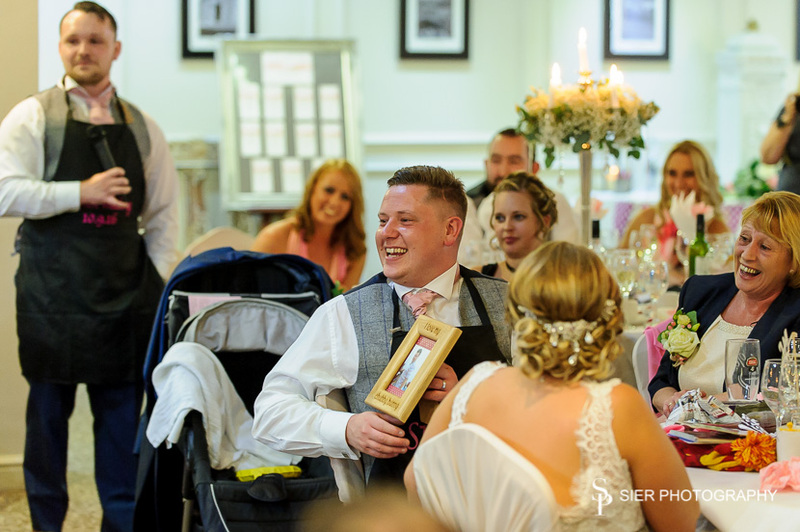 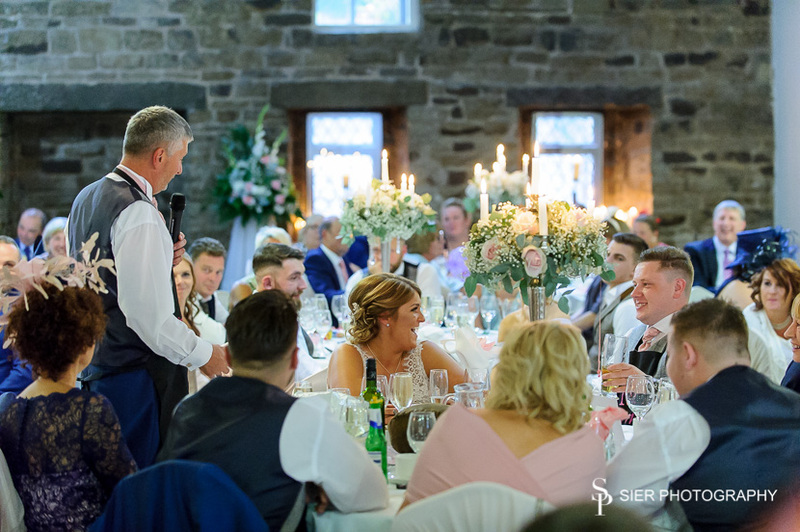 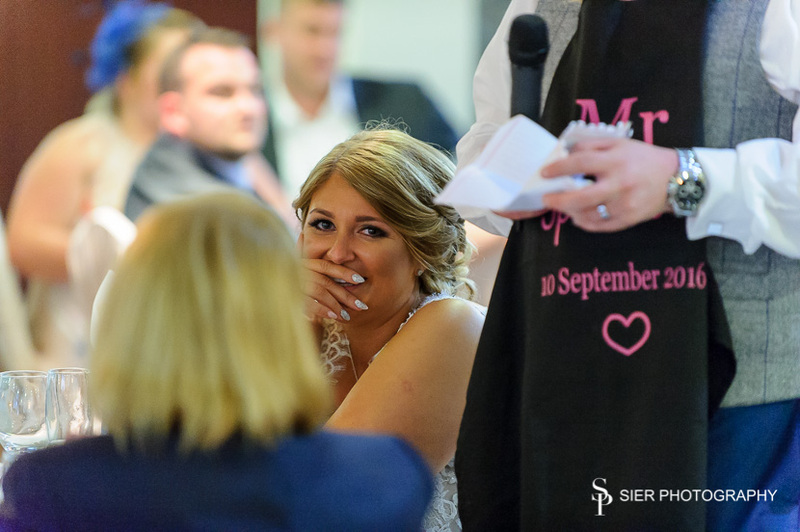 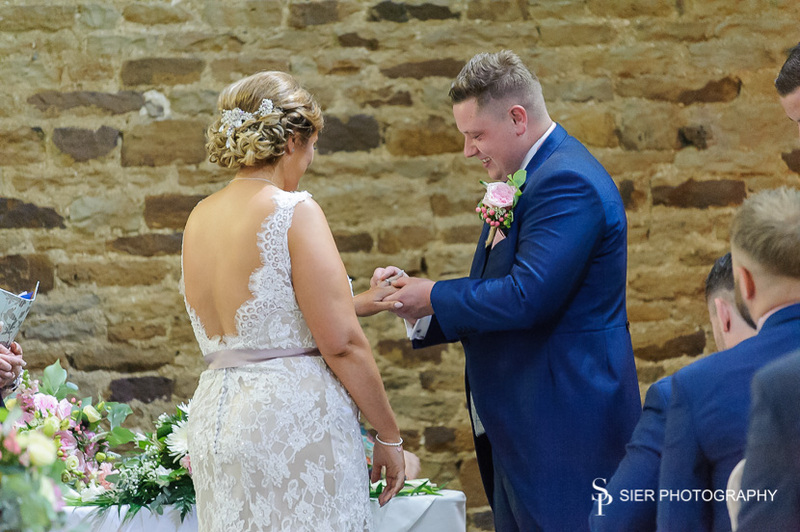 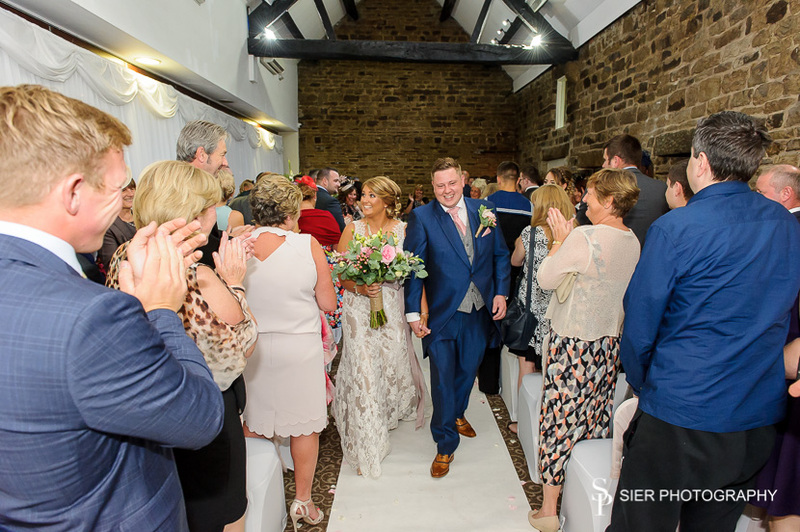 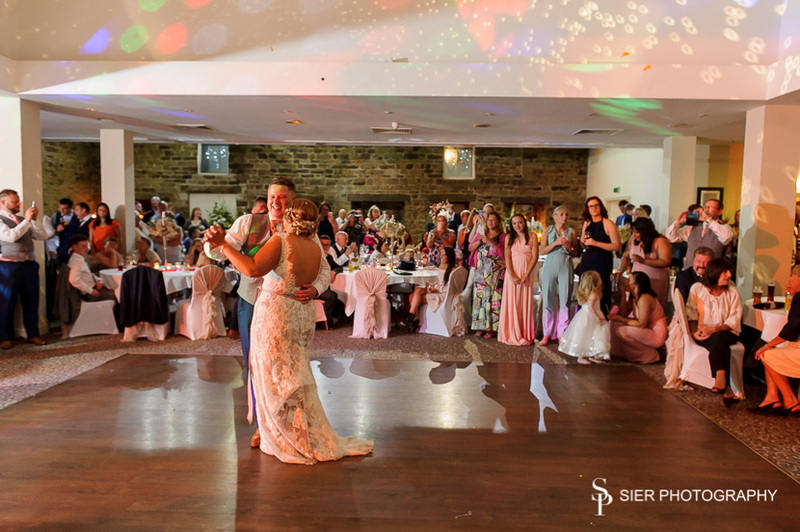 Saturday 10th September 2016 – saw Sier Photography make a return visit to the delightful Mosborough Hall Hotel, on the outskirts of Sheffield. 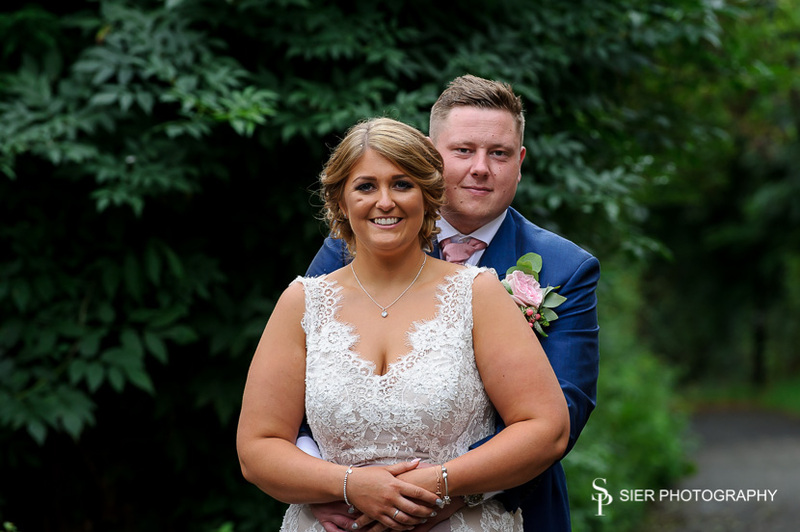 It was Laura & Ben’s special day and after we had photographed the wedding of their best friends Heather & Brett in 2015, we knew we were going to be in for a special day. 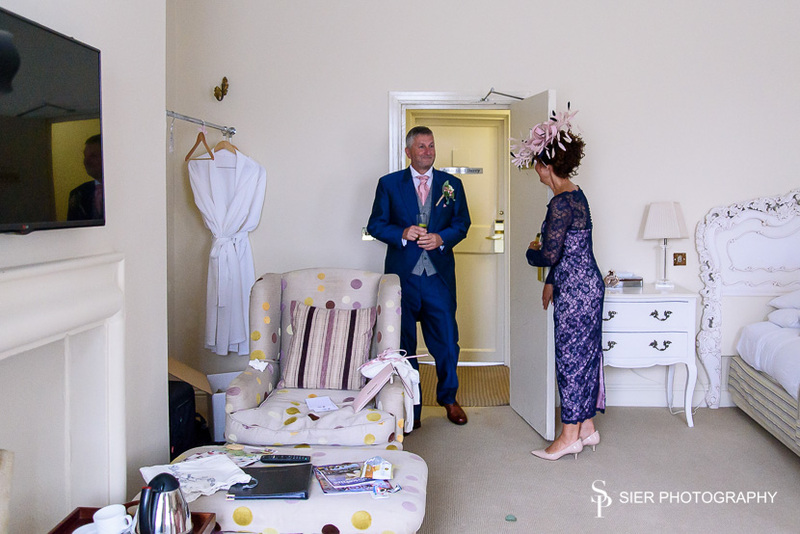 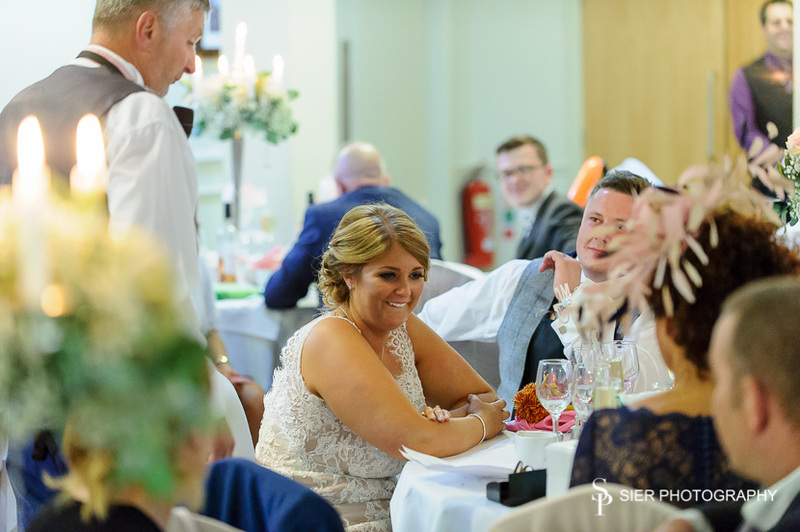 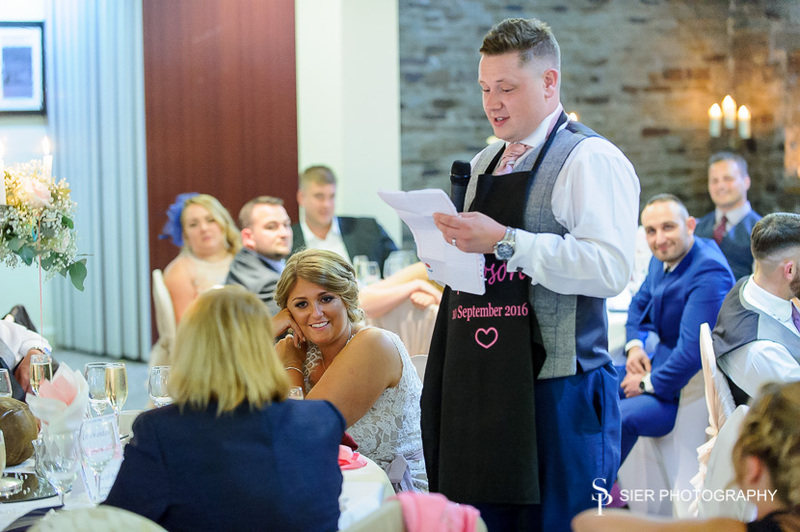 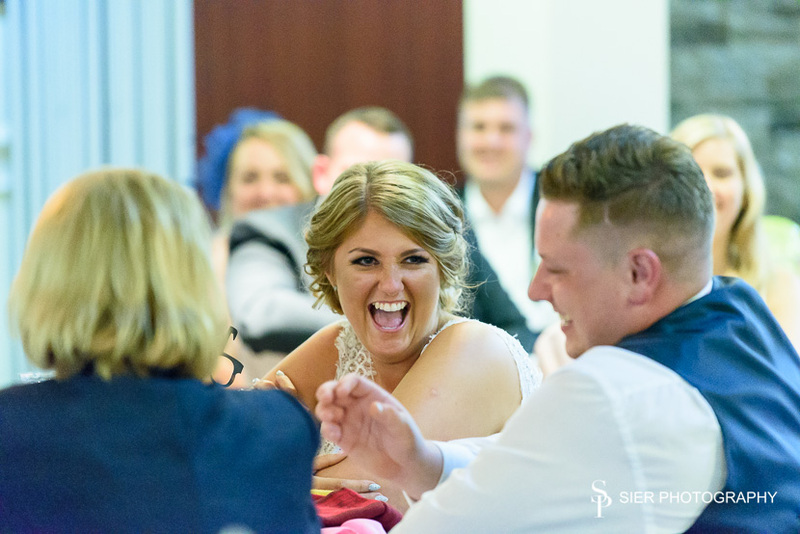 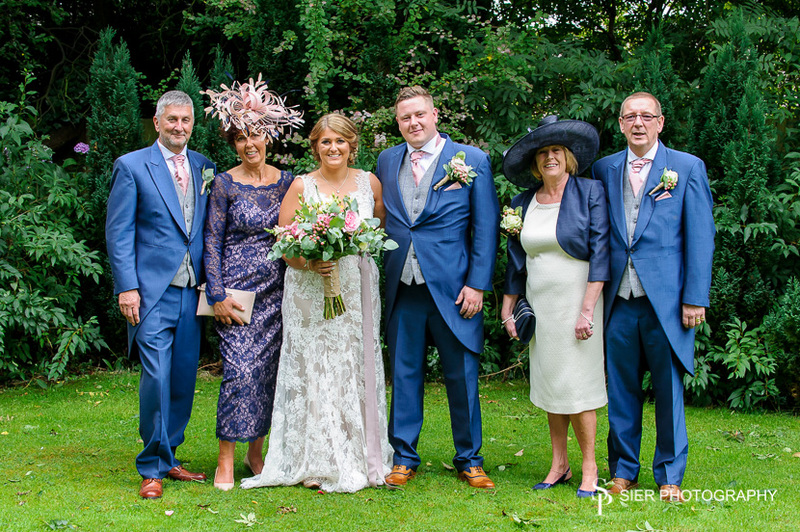 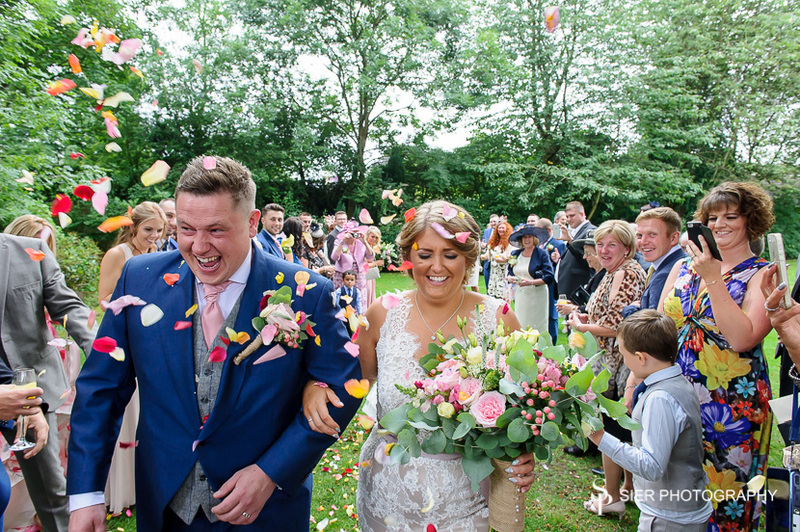 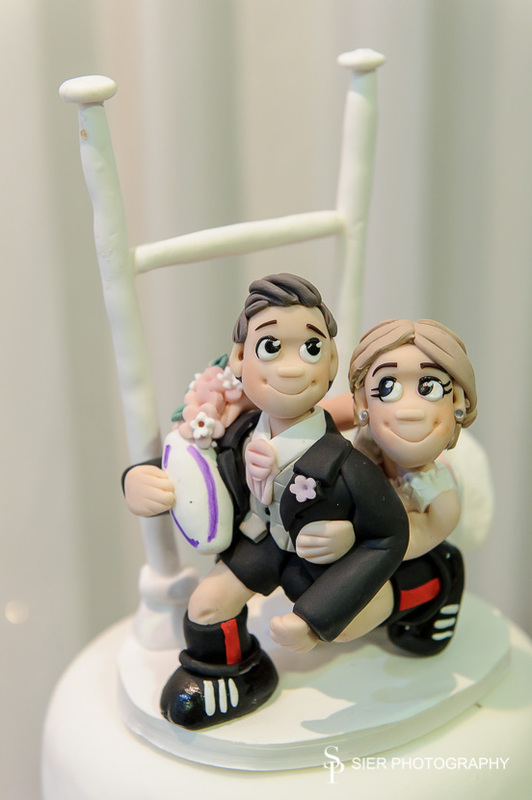 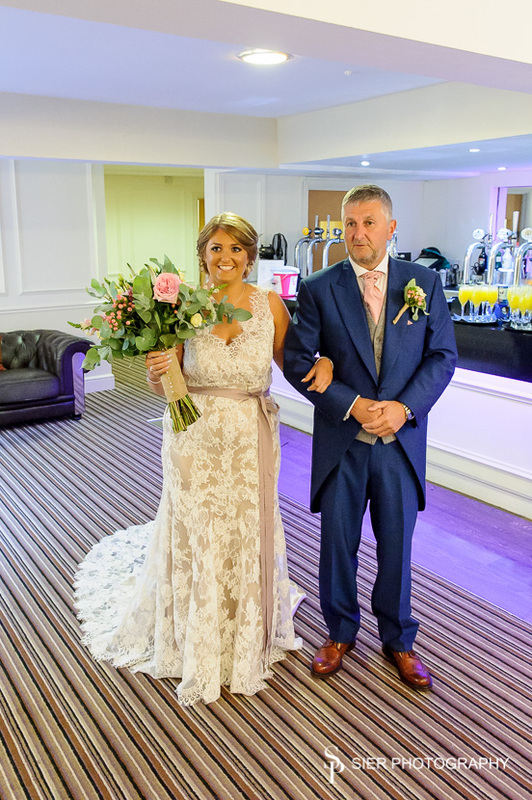 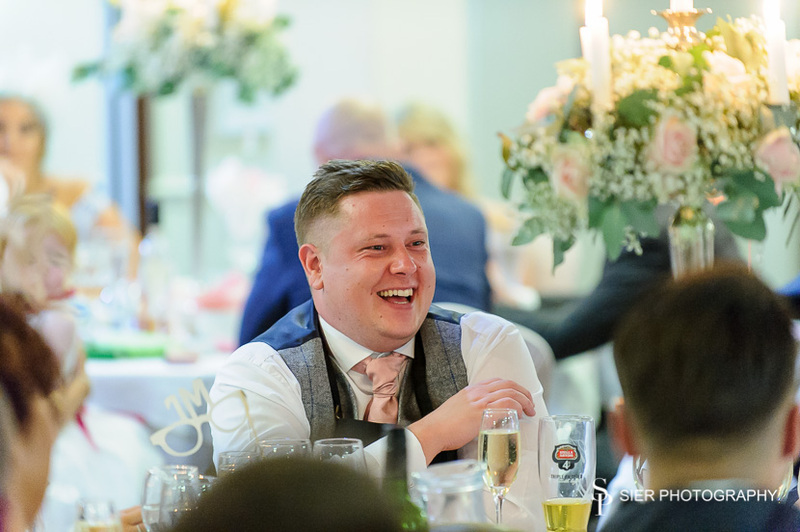 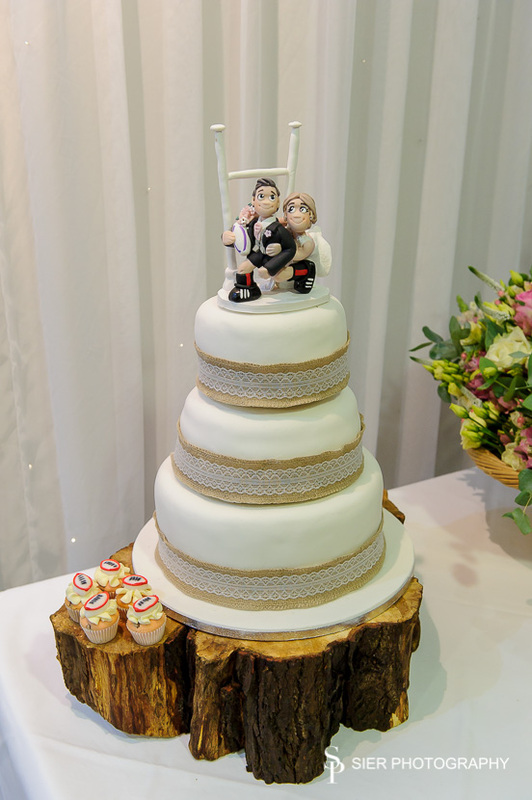 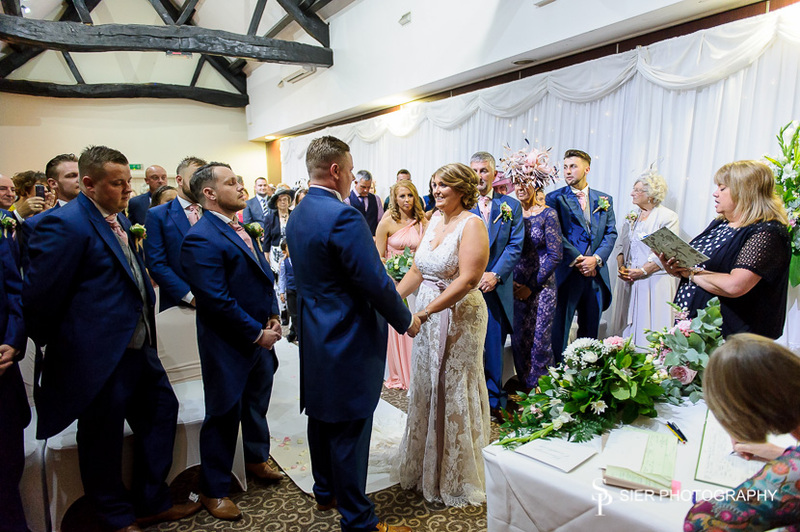 When we arrived, we were greeted by the Mother of the Bride “Kay” who is a real bundle of laughs and made us feel truly welcome, and as we got down to business the laughs and Prosecco were both free flowing. 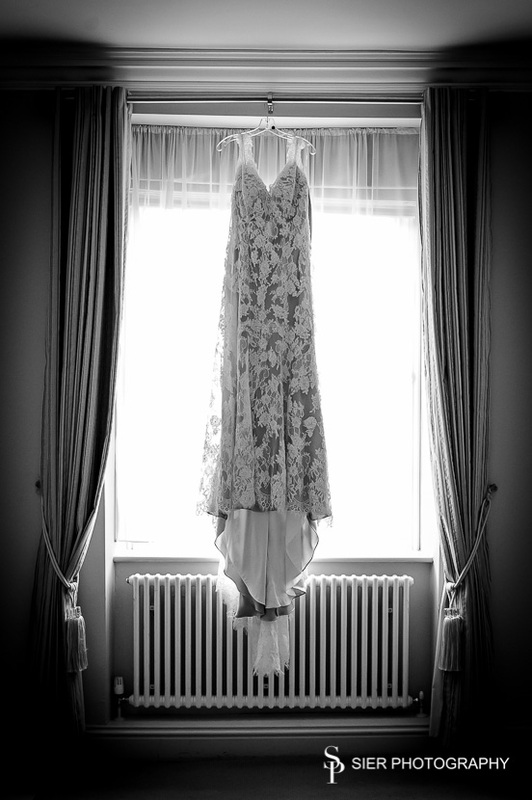 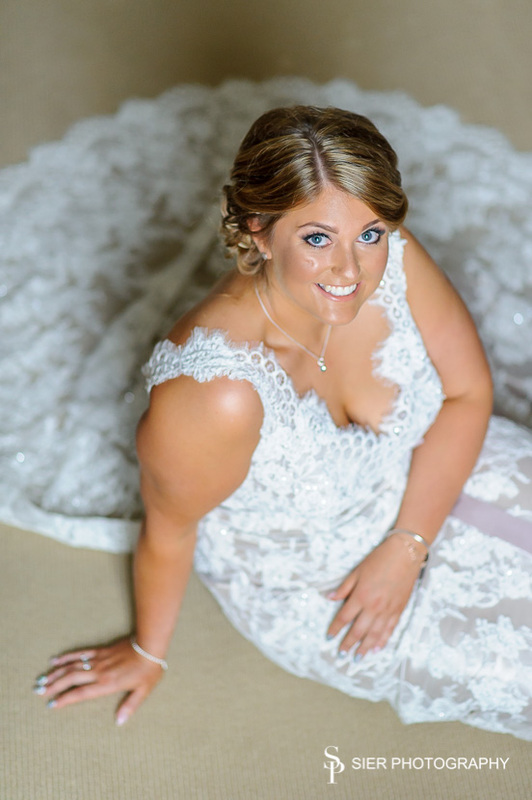 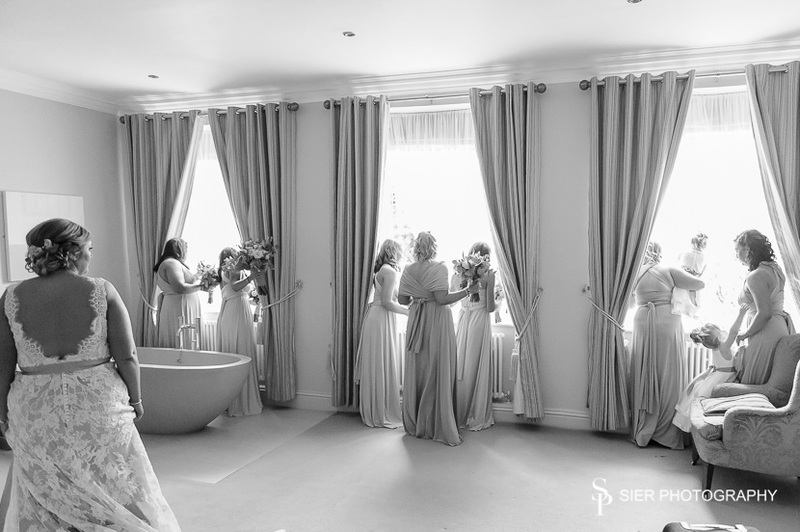 We were lucky enough to steal Laura away up into the Bridal Suite, where her dress had been kept under a veil of secrecy, the lighting in the room and the features gave us some amazing backdrops for the images we created. 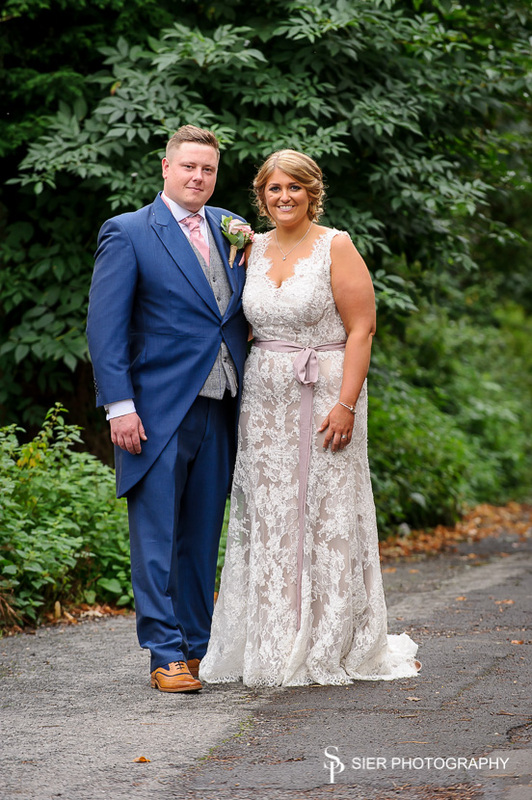 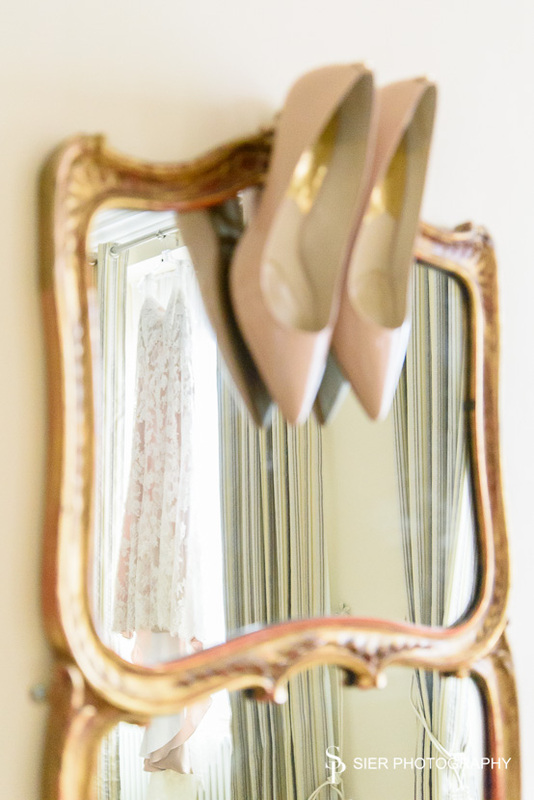 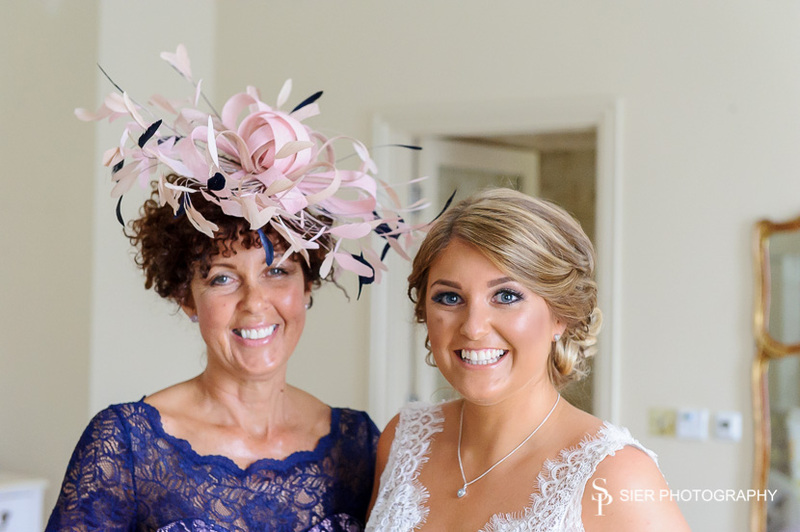 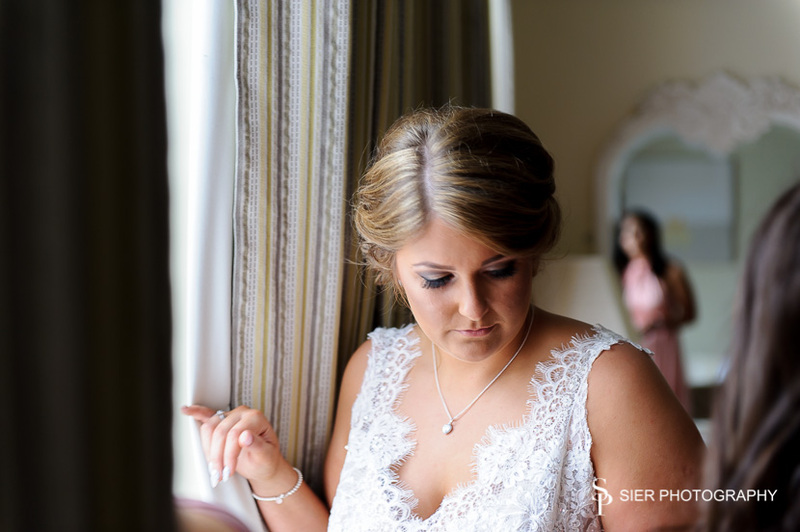 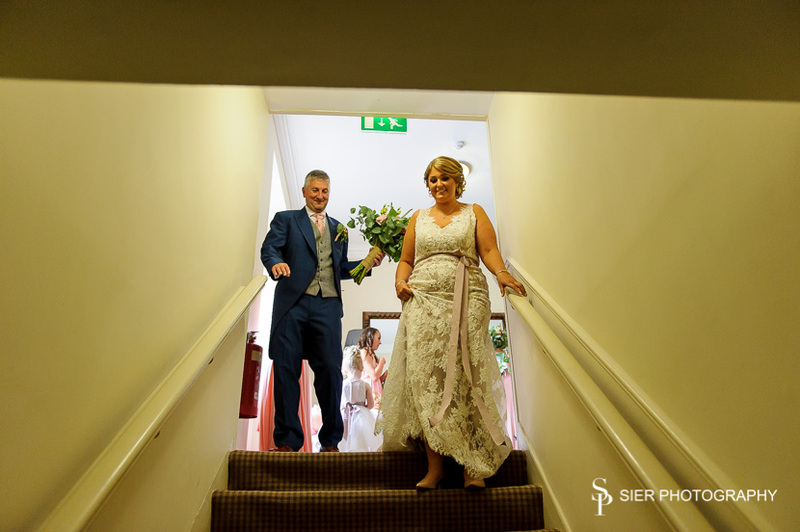 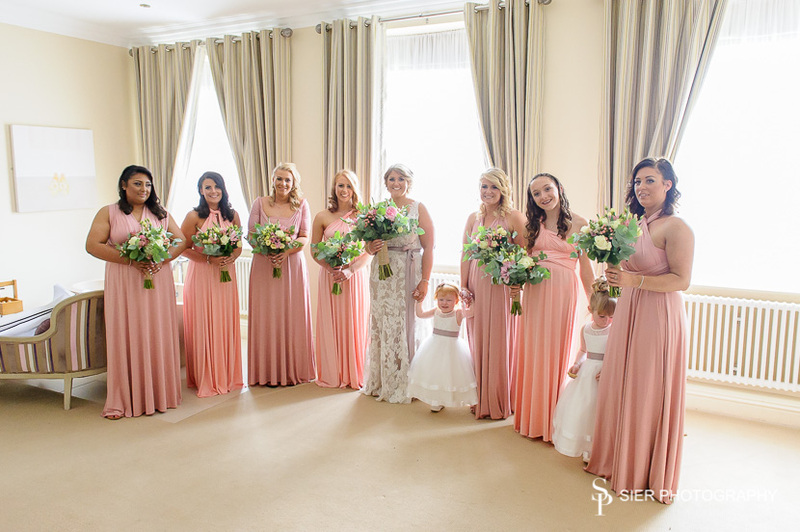 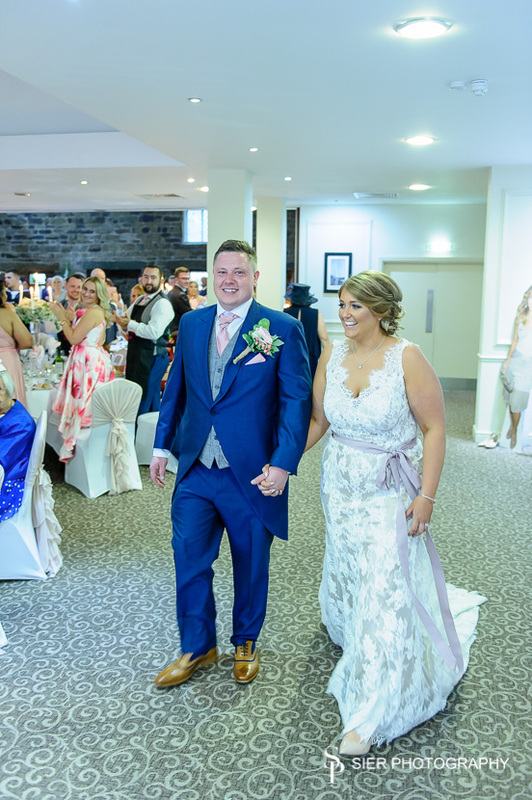 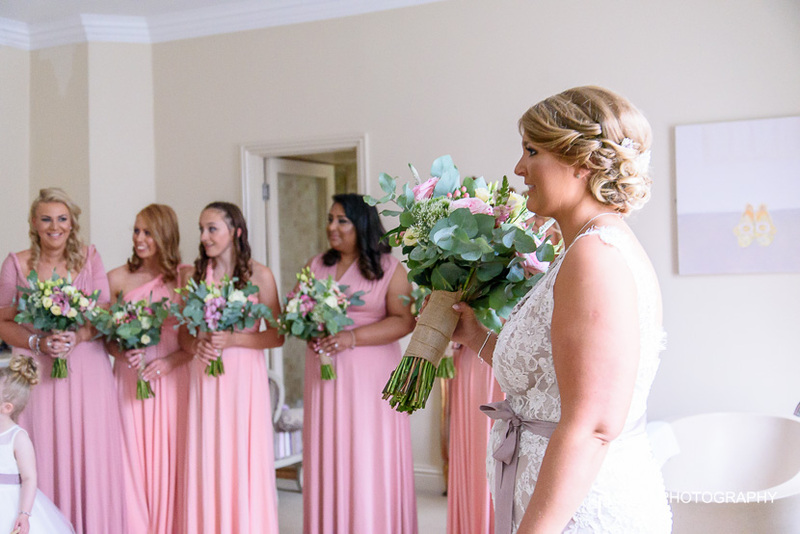 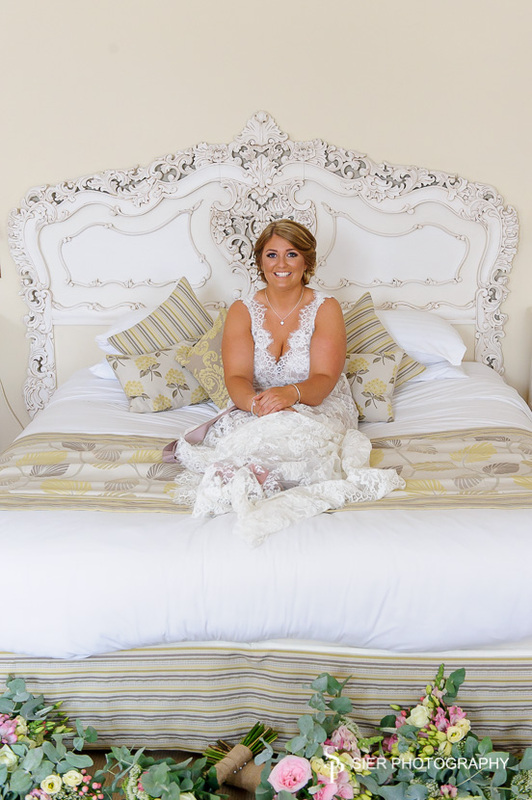 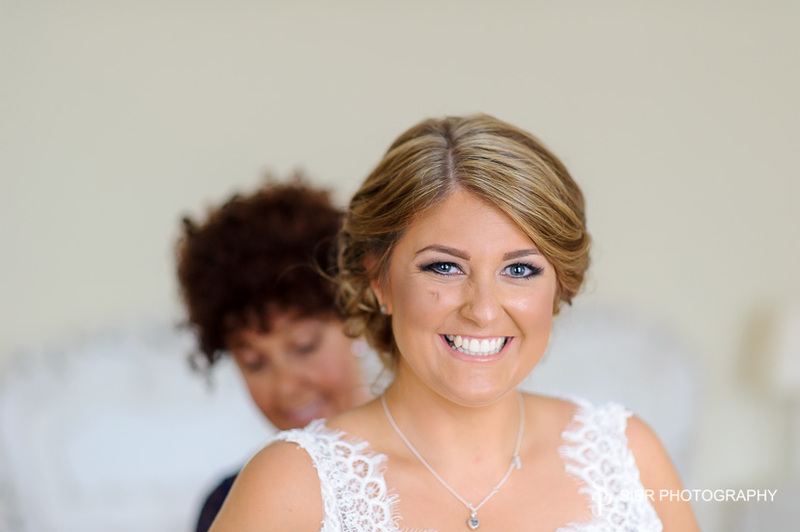 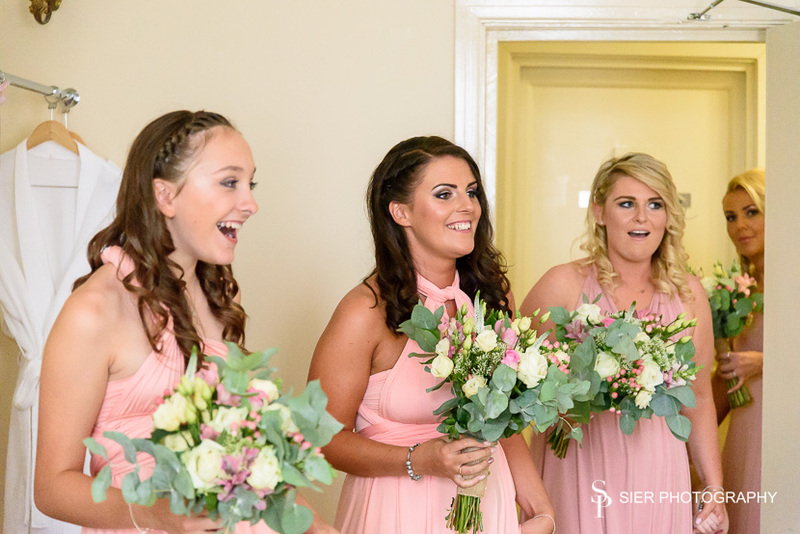 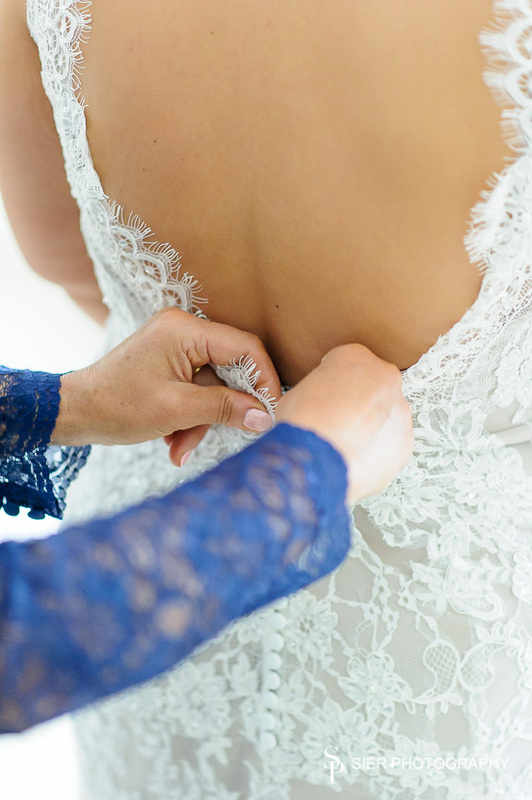 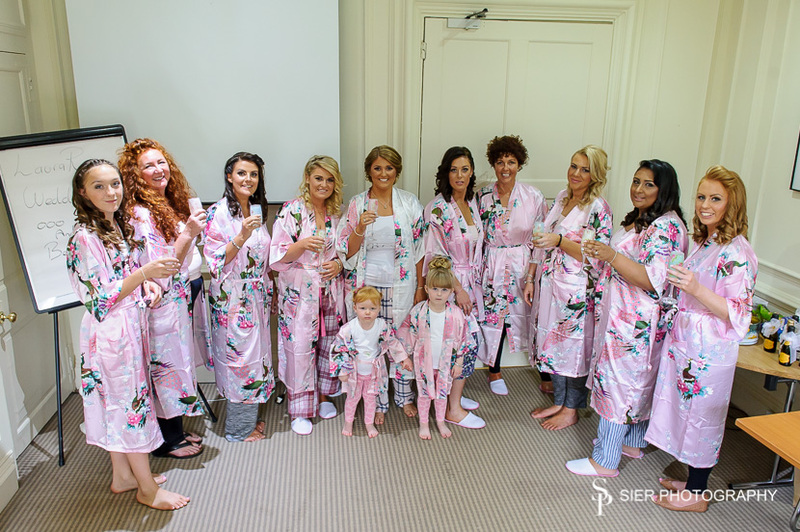 With hair & make-up complete, Laura and her Mum arrived at the Bridal suite get Laura into the most spectacular of dresses and Kay herself looked an absolute picture in her custom made outfit – a KMR Bespoke Bridals creation. 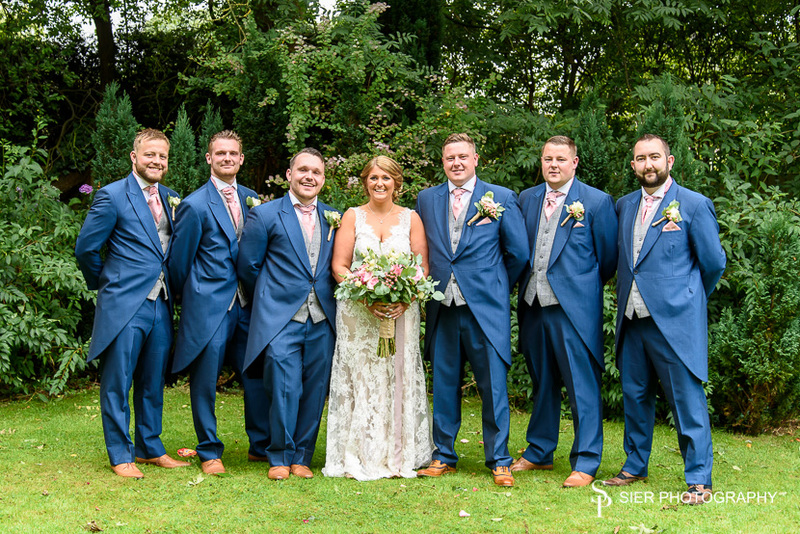 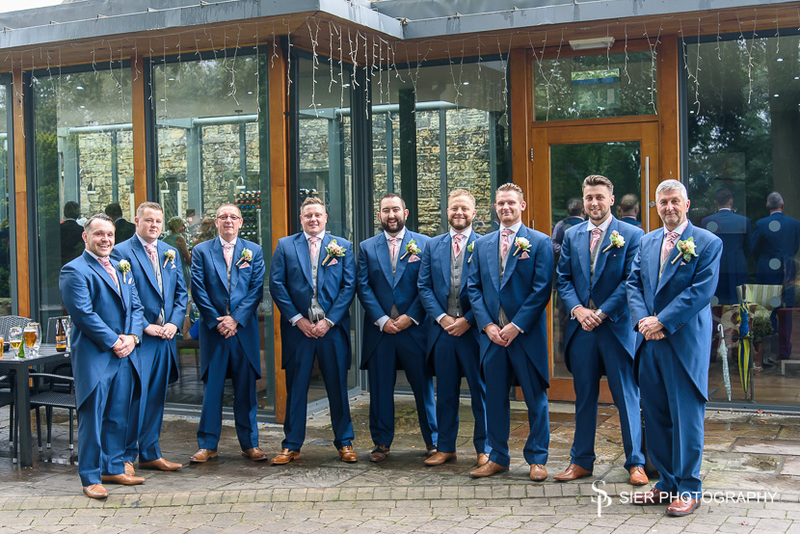 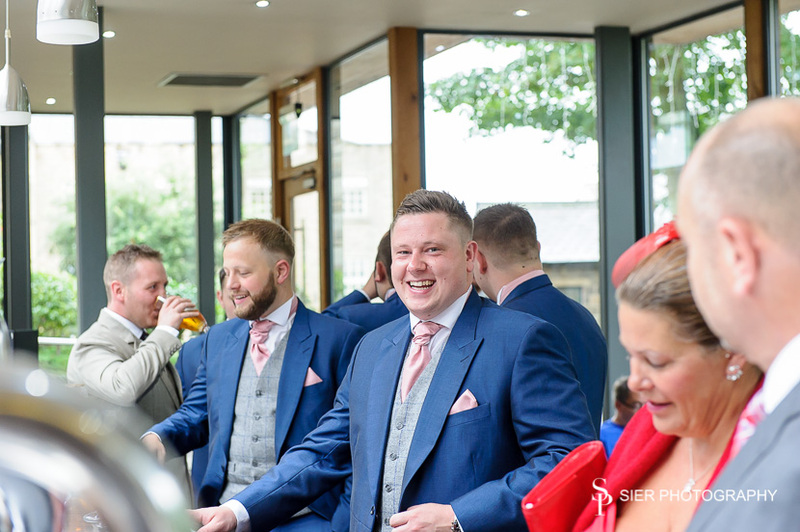 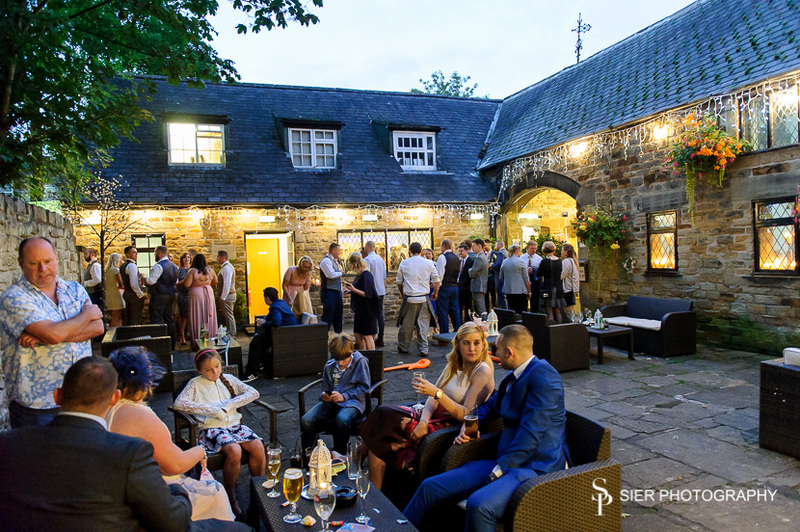 The men were gathering in the hotel bar and the guests were mingling in between the bar and the courtyard, as the rain turned into sunshine just in time to capture some great shots. 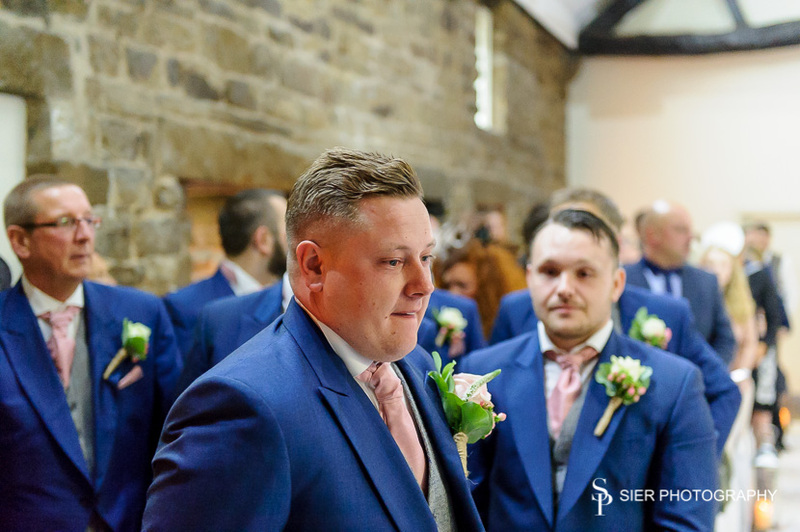 With 7 bridesmaids and 5 ushers, the bride and groom were well supported, the groom even saw the funny side when his best men pretended to have forgotten the rings..a look of panic quickly turned to relief. 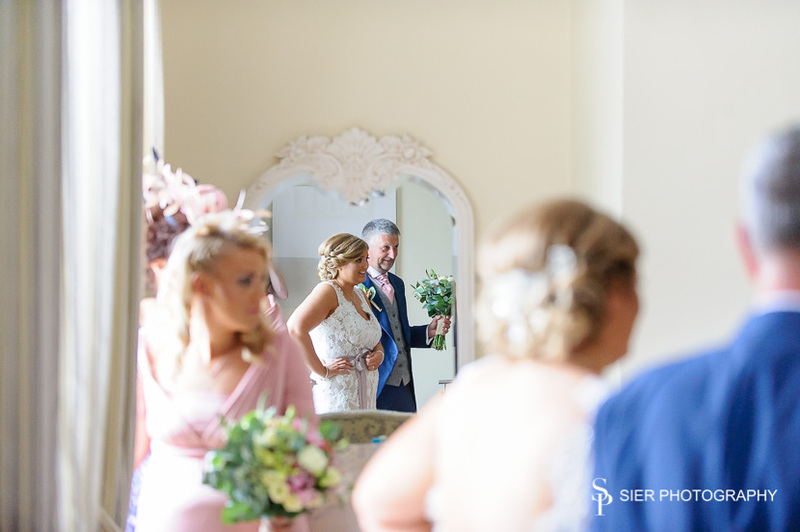 As the ceremony ended, the formal part of the day blended effortlessly into the wedding breakfast. 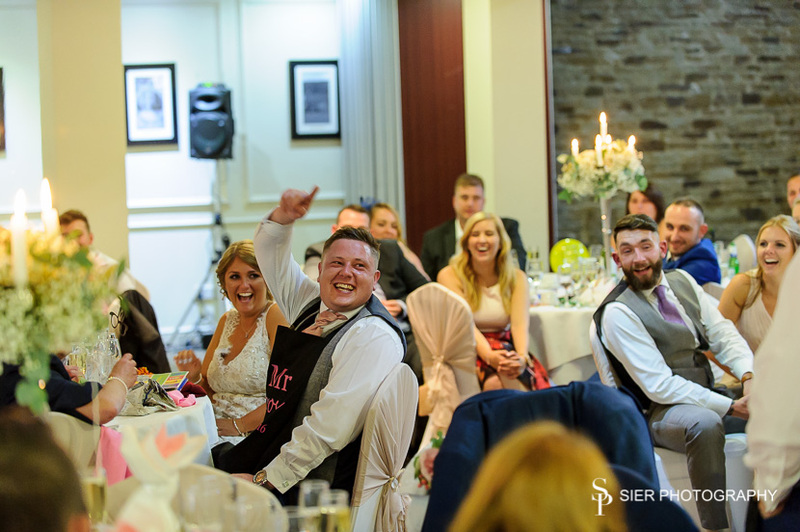 The bride & groom were greeted by their families and friends, and as day turned into night, the wedding party settled down for a full on party. 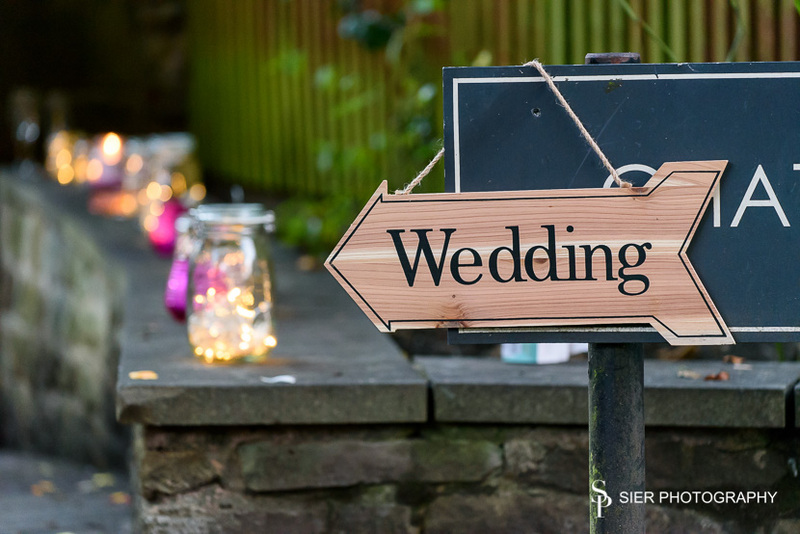 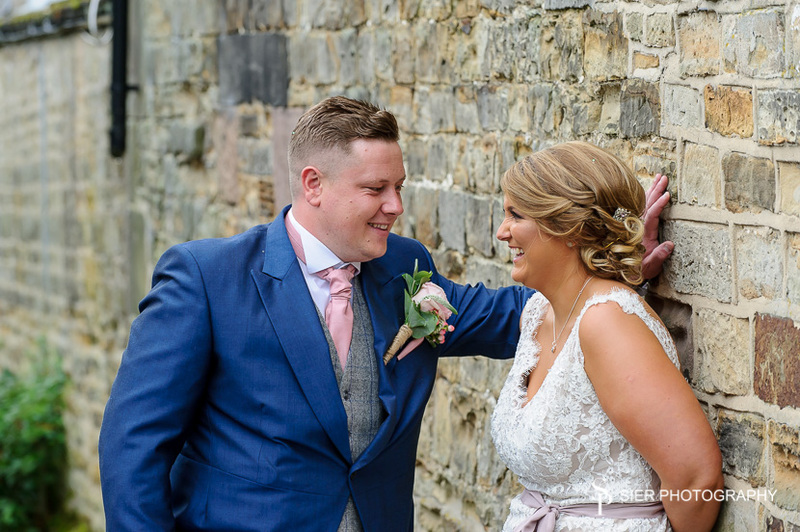 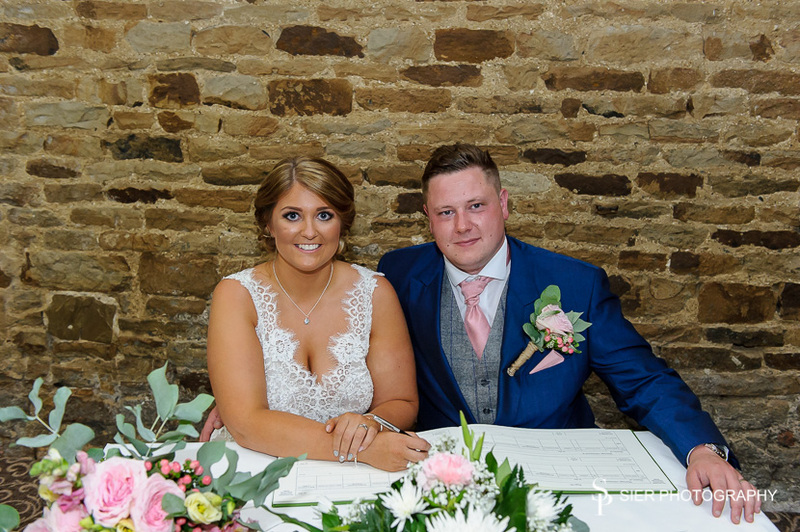 The pizza oven had been fired up in the courtyard and guests took full advantage of the warmth of the evening to site out among the fairy lights and just relax, a perfect end to what was for Laura & Ben their perfect day….. We hope you like a selection of the images….